If you are reading this you have likely had a significant loss in your life. Most likely you have lost a dear one, a spouse or other significant other. Perhaps it was a parent or a child. It may have been recent or long, long ago. First and foremost let me say I am sorry for your loss and that is why I am here. I have made it my life’s work to help people recover from their losses. My name is Yvonne Mitchell and I am a Certified Holistic Life and Health Coach specializing in helping you recover and get YOUR life back after loss. Your loss is unique to you and I recognize in advance of getting to know you that you have a grieving process unlike any other. I can help by significantly expanding the methods you can use to work through this often complex and challenging time. Dealing with loss can feel unbearable and may be the hardest thing you have ever faced in your life. There is no quick fix to Grief. Grief needs what it needs. This is both good news and bad news. The good news is once you fully recognize what grief is and that it is not just going to go away with time, you are often willing to go through the necessary grief processing and relax a bit. How much time does it take? There is no fixed amount of time for the grief process. You might adjust to your new life in a matter of months (temporarily or permanently). Other people many take a year or two or longer. You may have vastly different experiences with different losses. Just know that it will take as long as it takes for you and the best amount of time for you will be — just that — the best amount of time for you. It will happen that once you think it’s all behind you, it will come back. My clients and I have learned to relax about this and celebrate how totally normal we are. LOSS OF TRUST, FAITH, SAFETY …….. In my experience, it may also be the cumulative combination of many losses that have brought you to this place of needing PEACE and HOPE. I can help you understand the void created by this devastating loss. We can discover how you have been addressing the void — and fortify you with much better tools and methods.  Get started with my free download that will help you explore the Grief Mythology* that if allowed to continue would stand in the way of your healing. Use the box to the right to get instant access and gain relief right away from THE VOID that is causing you pain. You see I know THE VOID all too well. Read my story here. Let me help you to find your way out of all this confusion and pain and get your life back too. Take Back YOUR Life !